We wish to bring to your attention our concerns about Air Canada’s partnership with Israel Aerospace Industries for maintenance on the Air Canada fleet of Boeing 787 and 767 jets. This entry was posted in Campaigns, News and tagged #AirCanadaComplicity, Air Canada, BDS, boycott, golani and Givati Brigades, human rights, IAI, Israeli Aerospace Industries, Sabra Hummus, Sleepless in Gaza on October 17, 2017 by cbcjpi. Air Canada’s complicity with Israel Aerospace Industries (IAI) has been matched by its silence. Two weeks ago, it was revealed that a subsidiary of Israel Aerospace Industries (IAI), Elta North America, would be involved in building the U.S.-Mexico border wall. The immediate connection between the “builders” of oppressive and apartheid walls was not lost on those concerned about social justice, but a look at the history of IAI is even more enlightening. It is just one of many Israeli military defense companies that have intensified their global marketing in the last two decades, but it is also wholly owned by the Israeli government and is part of the historical foundation and fabric of the whole Zionist enterprise. This entry was posted in BDS Coalition Actions, Campaigns, News, Take Action, Uncategorized and tagged Air Canada, Apartheid, Apartheid Wall, BDS, Colin Rovinescu, Elta, Elta North America, IAI, Israeli Aerospace Industries, Rovinescu, US-Mexico border wall, US-Mexico Wall on October 6, 2017 by cbcjpi. Approaching 90 days and there has been no response to the following letter send to Air Canada CEO, Calin Rovinescu. Seems the silence of Rovinescu and his senior team support are not prepared to talk about the export of Canadian jobs to the Israeli government owned military company Israeli Aerospace Industries (IAI). The BNC (BDS National Committee) is putting more focus on Israel Aerospace Industries (IAI )with their statement on IAI’s involvement in militarizing the US-Mexico border. This entry was posted in Campaigns, Take Action, Uncategorized and tagged Air Canada, BDS, BNC, Calin Rovinsecu, IAI, Israeli Aerospace Industries on September 30, 2017 by cbcjpi. Did you know that Air Canada is outsourcing maintenance work for its B787 and B767 jets to Israel Aerospace Industries (IAI)? And that IAI, a leader in drone production, is wholly owned by the government of Israel? And that Gaza and its civilian population are mercilessly used as a human laboratory for developing and thereby advancing the marketing of such drones? 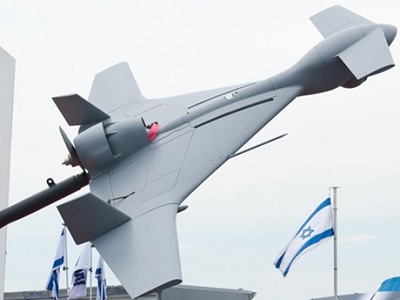 IAI brags on its website that its “scope has expanded to include technologically sophisticated solutions for battle in the air, at sea or on land” and that it has “contributed significantly” to the “strategic superiority” of the Israeli military. You can read more about IAI in this Corporate Watch report. The Canadian BDS coalition is launching a major campaign to tell Air Canada we are not on board with this blatant complicity with Israeli war crimes against the Palestinian people. 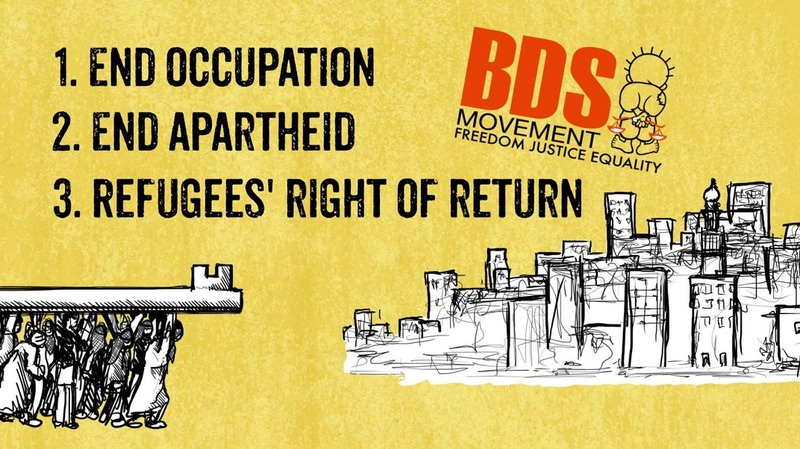 The Palestinian-led BDS movement recently called for immediate international action towards implementing a comprehensive military embargo on Israel, similar to that imposed against apartheid South Africa in the past. Add your name to the new petition to Air Canada! Please make your union, church, and community or political groups aware of this boycott and encourage them to show solidarity with the Palestinian people as well as workers here in Canada. You can download a fact sheet on the issue from Canada Palestine Association website. Check all other possible options before finalizing your travel plans and boycott Air Canada whenever possible. Send the message to Air Canada that Israeli government abuses of international law will not be rewarded with your travel dollars! Join a local BDS group and stay tuned for other campaigns to help further the military embargo on Israel. Read the most recent Palestine Chronicle article (or this earlier article from March, 2017). Read the 2015 Mondoweiss article on the call for a boycott of Air Canada. For more background on the issue, visit the Canada Palestine Association website. This entry was posted in BDS Coalition Actions, Campaigns and tagged Air Canada, BDS campaigns, BDS Coalition member actions, boycott on June 30, 2017 by psnedmonton. This entry was posted in Campaigns and tagged Air Canada, BDS, BDS campaigns, BDS Coalition member actions, Canada Palestine Association on April 24, 2015 by cbcjpi.